Put TripleSec, Cherry Eaux-de-Vie and lemon splashes in a shaker with ice and shake well. 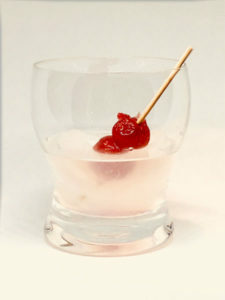 Serve in the cocktail glass with two cocktail cherries. is a lover of rain; someone who finds joy and peace of mind during rainy days.